Global leader in off-road performance product sales and installation, 4 Wheel Parts, will be among the sponsors and vendors supporting the All-4-Fun Jeep event in Empire, Colorado July 30-August 6. 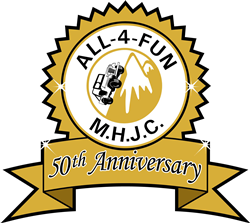 This is the 50th anniversary of the annual event presented by the Mile-Hi Jeep Club featuring scenic trail rides, family activities for Jeepers and a raffle with aftermarket merchandise for off-roaders. The Mile-Hi Jeep Club is a conglomerate of local Jeep clubs and this year marks their 50th anniversary so it will be a huge, hallmark occasion. People come from as far away as Illinois and California to wheel trails from easy to extreme. Global leader in off-road performance product sales and installation,4 Wheel Parts, will be among the sponsors and vendors supporting the All-4-Fun Jeep event in Empire, Colorado July 30-August 6. This is the 50th anniversary of the annual event presented by the Mile-Hi Jeep Club featuring scenic trail rides, family activities for Jeepers and a raffle with aftermarket merchandise for off-roaders. Jeep enthusiasts of all levels will wheel, camp and peruse products from vendors throughout the weeklong gathering at Colorado’s Douglas Mountain. Local Colorado 4 Wheel Parts stores in Denver and Westminster will have representatives from both locations attending All-4-Fun. 4 Wheel Parts is sponsoring the raffle with a donation of $1,000 in gift cards and aftermarket merchandise and will also be onsite for the vendor show on Wednesday, August 3. Additionally, Transamerican Manufacturing Group brand Poison Spyder will also be making the trek from California to attend the event. The site of All-4-Fun changes from year to year and past locations include Silverton, Salida and Leadville, Colorado. Spectacular scenery with photogenic peaks and winding waterways await attendees in historic Empire, a former silver mining settlement. 4 Wheel Parts held its annual Truck & Jeep Fest in Denver, Colorado earlier this month and the Mile-Hi-Jeep Club made an appearance at the fest. The Mile-Hi Jeep Club donates proceeds from their annual All-4-Fun event to a variety of land use-related causes and the local Children's Hospital Burn Center will benefit from collected proceeds. Donations make it possible for burn victims and their families to spend a week at the Children's Hospital Burn Camp and the club has sent over 200 families to the camp. 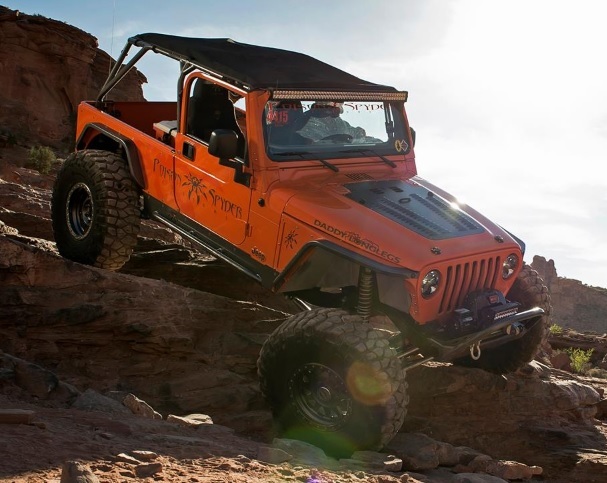 About 4 Wheel Parts 4 Wheel Parts is the global leader in truck, Jeep, SUV and off-road performance products. With 75 locations across the U.S. and Canada and growing, 4 Wheel Parts Service Centers install all the products they sell. 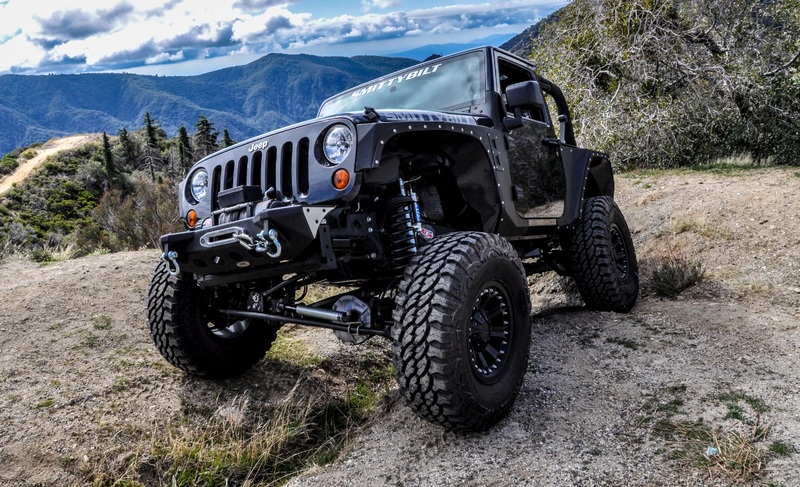 Maintaining the nation’s largest inventory of off-road all-terrain tires, wheels, suspension products and Jeep accessories, 4 Wheel Parts serves customers across the country and around the globe. Life is Better Off-Road™. Visit them at 4wheelparts.com or call toll-free 877-474-4821.